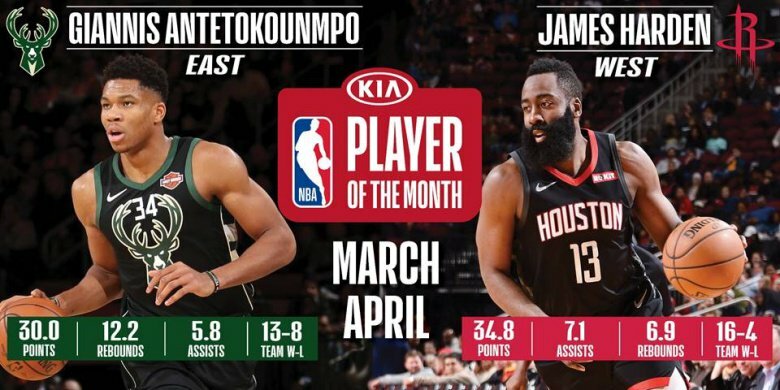 Milwaukee Bucks forward Giannis Antetokounmpo and Houston Rockets guard James Harden have been named the Kia NBA Eastern and Western Conference Players of the Month, respectively, for games played in March and April. Other nominees for Kia NBA Eastern Conference Player of the Month were Brooklyn’s D’Angelo Russell, Philadelphia’s Ben Simmons, Orlando’s Nikola Vučević and Charlotte’s Kemba Walker. Other nominees for Kia NBA Western Conference Player of the Month were Phoenix’s Devin Booker, Portland’s Damian Lillard, Utah’s Donovan Mitchell, Minnesota’s Karl-Anthony Towns and the LA Clippers’ Lou Williams. 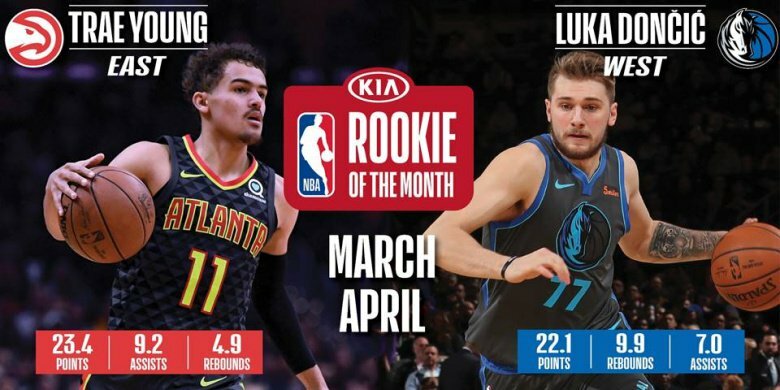 Atlanta Hawks guard Trae Young and Dallas Mavericks guard-forward Luka Dončić have been named the Kia NBA Eastern and Western Conference Rookies of the Month, respectively, for games played in March and April. 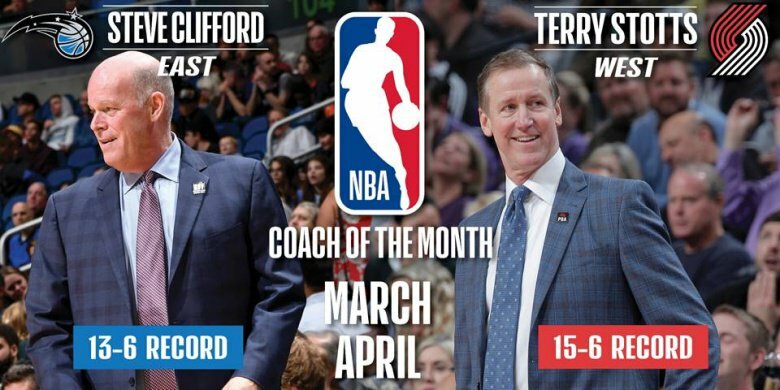 Other nominees for Kia NBA Eastern Conference Rookie of the Month were Charlotte’s Miles Bridges, New York’s Mitchell Robinson and Cleveland’s Collin Sexton. Other nominees for Kia NBA Western Conference Rookie of the Month were Phoenix’s Deandre Ayton, Sacramento’s Marvin Bagley III, Dallas’ Jalen Brunson, the LA Clippers’ Shai Gilgeous-Alexander and New Orleans’ Frank Jackson.